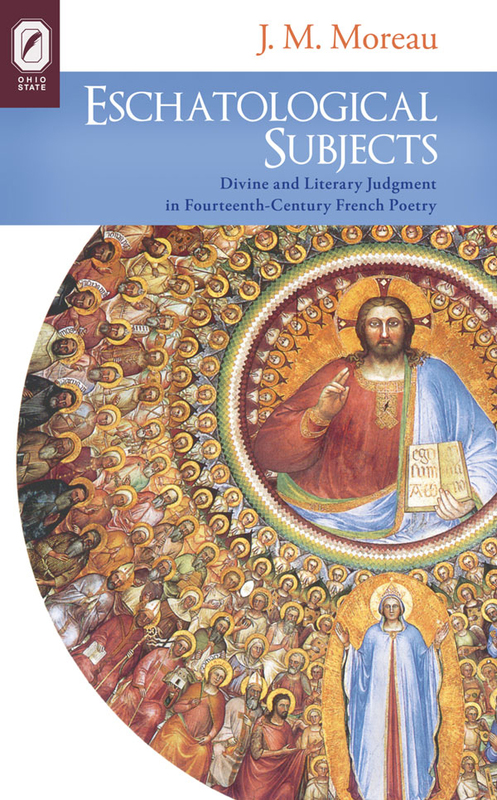 Eschatological Subjects: Divine and Literary Judgment in Fourteenth-Century French Poetry takes an innovative approach to medieval eschatology by examining how poets cast themselves in the scene of judgment as defendants summoned to answer to the Almighty for the sins of their writing. Since medieval Europeans lived in perpetual anxiety of divine judgment, constantly surrounded by reminders in art and literature, author J. M. Moreau shows that this is a natural extension of medieval life. But Eschatological Subjects goes even further to demonstrate the largely unrecognized duality of this judge figure: not just God, the judge is also the imperious and imperfect human reader. The simultaneous divine and human judgments in (and of) French poetry reveal much about the ethical stakes of writing vernacular poetry in the later Middle Ages and, most importantly, about the relationships between authors and audiences. Focusing on Guillaume de Deguileville, Guillaume de Machaut, and Jean Froissart (each of whom composed scenes in which they appear on trial before God), Moreau contributes important new insights on the complex “trial process” of later medieval literature, in which poetic authority and fame depended on the poet’s ability to defend himself before a fearful court of reader opinion. J. M. Moreau was a Mellon Postdoctoral Fellow of French Studies and Comparative Literature at Brown University. He is now an independent scholar.